Laufen products are developed and created by famous international designers from all over the world such as Tom Schönherr, Stefano Giovannoni and Helmut Telefont, to name but a few. There is a huge range to suit all tastes and budgets, all beautifully designed and crafted and for a limited period only, you can save a staggering 25% when you order a complete Laufen suite. So don't think about it a moment longer. Call us now to discuss the bathroom of your dreams 0207 720 3082. We'll let you know all about our other complementary bathroom offers. 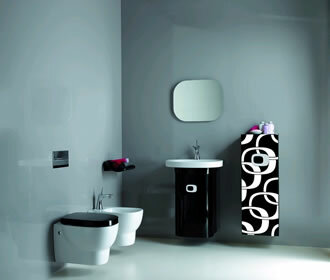 You can see more Laufen Bathrooms on our Bathrooms page.